Hello to you wherever you are in the world, as the Editor of Call Sign Magazine, I'm delighted to welcome you to the on-line CS library. 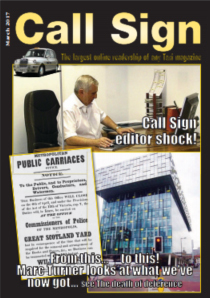 Call Sign - in various guises - has been around since 1964 and I am its fourth editor, following on from Joe Toff, Phil Emden and Gerald Craig. 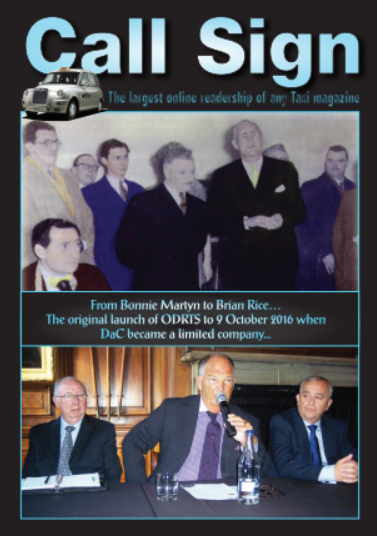 What my three predecessors would think about the magazine they cared for so passionately, whizzing around the world from keyboard to keyboard, heaven knows! 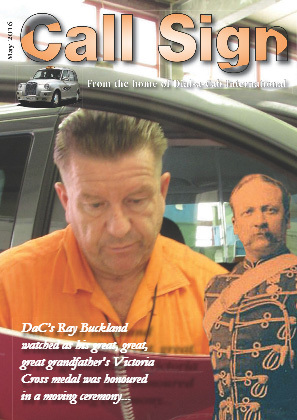 However, each in their own way progressed the magazine a bit further and this is my bit - Call Sign International. 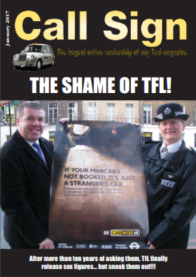 We have been on-line since 1998 and they are the issues you can research on. Call Sign is not independent, neither does it claim to be. 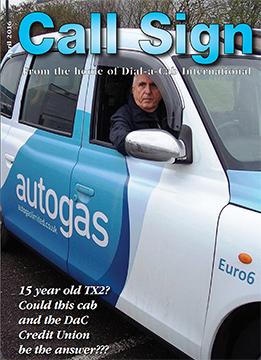 It is the house magazine of Europe's most advanced radio taxi company, Dial-a-Cab. 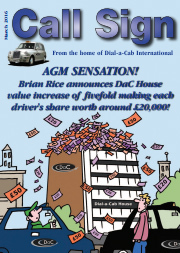 If you are not a DaC driver - for whom this site is aimed as a library facility - but you have been to London, you could not fail to notice the logo that adorns every one of our 2,200 taxis. As a reminder, you can see it whizzing by at the top of the page. 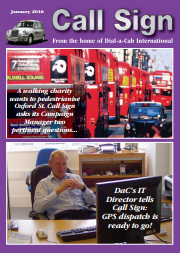 Dial-a-Cab's fleet have the latest in in-screen terminals. Each terminal can instantaneously bring up detailed full colour maps of London, including the facility to close in on any part and scroll it along. It contains a list of various important parts of London in addition to stations, hospitals etc which when highlighted, will bring up that point on the map. The system can also bring up a keyboard on which messages can be typed and sent to a central dispatcher. Of course its main function is to provide the driver with trips and these are shown in two colours, which the drivers can choose from around 1000...! 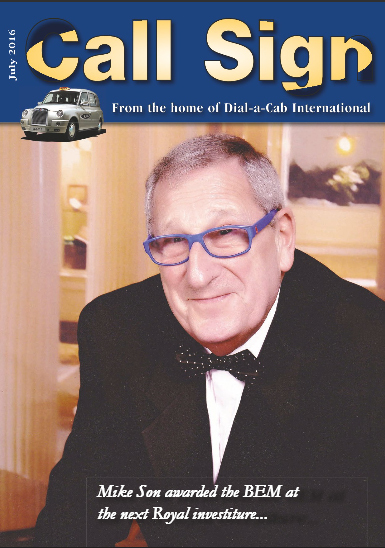 Dial-a-Cab also look after their clients and offer regular management reports which our clients tell us are a great help in managing their transport outgoings. We have also developed our own on-line Management Reports (DaCport) which many clients have heard of and are now starting to apply for. Those who have it say they couldn't now live without it! 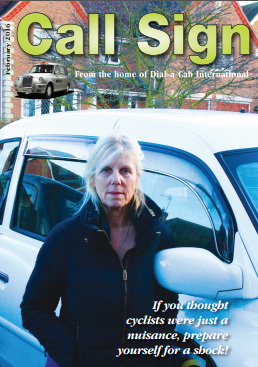 We also believe that we were the first taxi organisation in the world to develop a true on-line real-time booking system as against one where you just send an email and hope for the best. 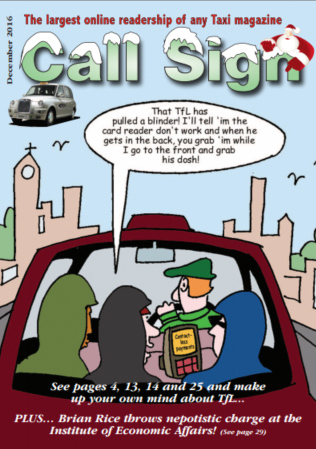 With this system, clients use their own log-in code and are immediately transported into our system where they can order, cancel or even check on the progress of their taxi without ever needing to speak to one of our Call Takers. 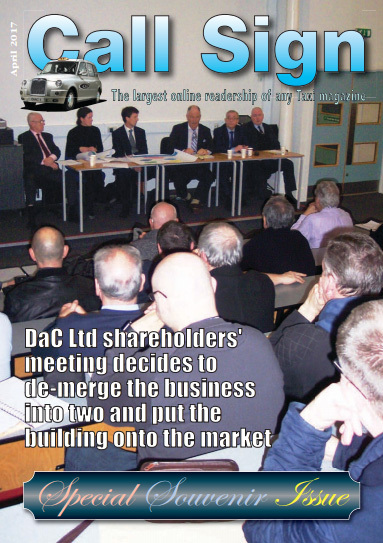 Many clients use the DaC app. 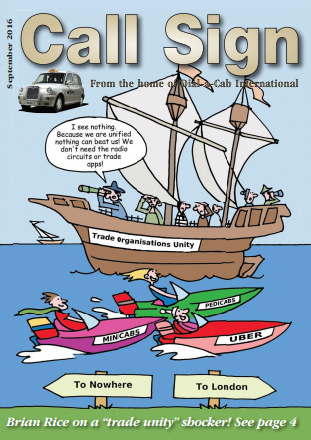 As for Call Sign itself, we are the only radio taxi organi-ation in London to have a regular magazine for drivers and staff giving updates of the company, together with general taxi news and individual articles by the drivers and even their families. Before leaving you to browse, can I thank Call Sign's regular computer columnist Vince Chin, who built this site for Call Sign. 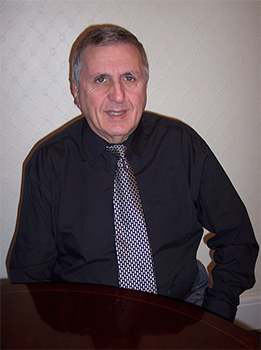 His knowledge of web development is second to none and Call Sign are proud to have him. 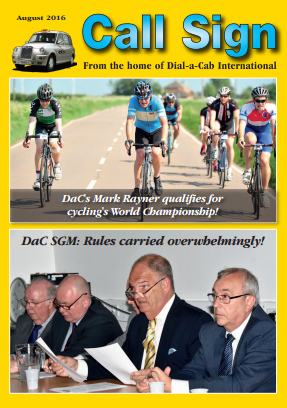 If you would like to have a look at any issue, click on 'Archive' at the top and the January covers from every year will appear. Click whichever year you want and each issue will then appear. 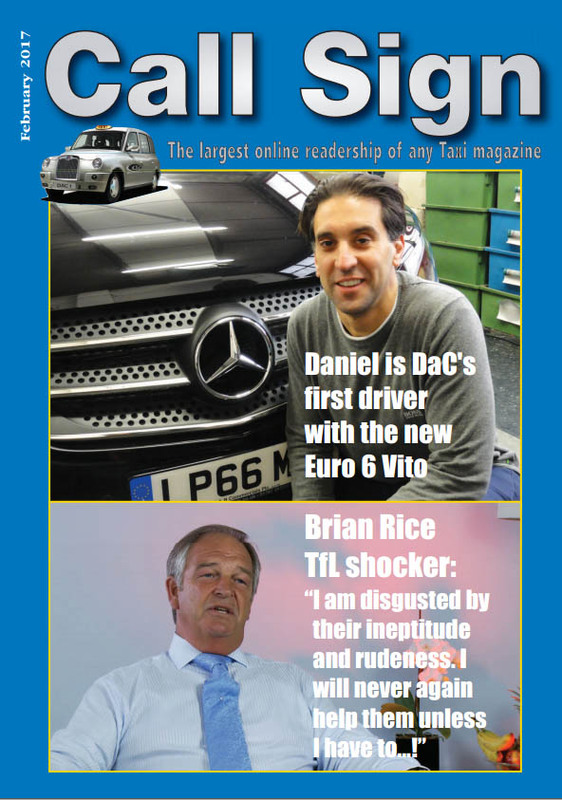 Just click on the PDF sign on the month you would like to read and that magazine will appear. If you know which issue you want, just click on the small Call Sign name at the very top of the page and a list of years will appear. Click on the year you want and then the PDF sign on the issue you want to read. Otherwise type a word into the 'search' box along the top. 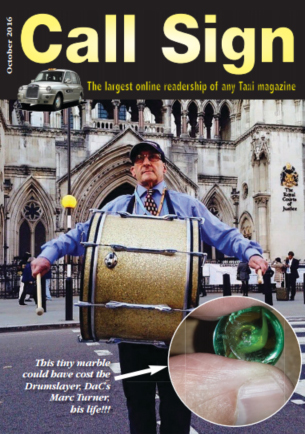 Prior to May 2006, just the best 20 pages of each issue went on line and those pages will appear.